Siemens Gamesa is a global leader in the wind power industry, with a strong presence in all facets of the wind business: offshore (#1), onshore (#2) and services (#2). In 2017, Siemens Gamesa was the number-one company in the sector, with a 17% share of new capacity installed, according to MAKE Consulting. Through its advanced digital capabilities, the company offers one of the broadest product portfolios in the industry as well as industry-leading service solutions, helping to make clean energy more affordable and reliable. With 87 GW installed worldwide, Siemens Gamesa manufactures, installs and maintains wind turbines in the onshore and offshore segments. Its order backlog stands at €22 billion. The company is headquartered in Spain and listed on the Spanish stock exchange (traded in the Ibex-35 index). Ørsted (NASDAQ OMX: ORSTED) is one of Northern Europe's leading energy groups headquartered in Denmark. 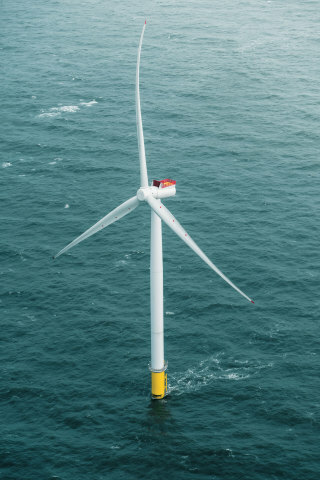 Around 6,200 employees develop, construct and operate offshore wind farms, generate heat and power from power stations as well as supply and trade in energy to wholesale, business and residential customers. In addition, we produce oil and gas, and a process has been initiated to divest this business unit. The continuing part of the Group has approximately 5,800 employees and generated a revenue in 2016 of DKK 61 billion (EUR 8.2 billion). For further information, see https://orsted.com/ and follow us on twitter (@OrstedNA). Nearly 6 million customers in 19 states energize their homes and businesses with electricity or natural gas from Dominion Energy (NYSE: D), headquartered in Richmond, Va. The company is committed to sustainable, reliable, affordable, and safe energy and is one of the nation's largest producers and transporters of energy with over $78 billion of assets providing electric generation, transmission and distribution, as well as natural gas storage, transmission, distribution, and import/export services. As one of the nation's leading solar operators, the company intends to reduce its carbon intensity 50 percent by 2030. Through its Dominion Energy Charitable Foundation, as well as EnergyShareand other programs, Dominion Energy plans to contribute more than $30 million in 2018 to community causes throughout its footprint and beyond. Please visit www.DominionEnergy.com, Facebook or Twitter to learn more.